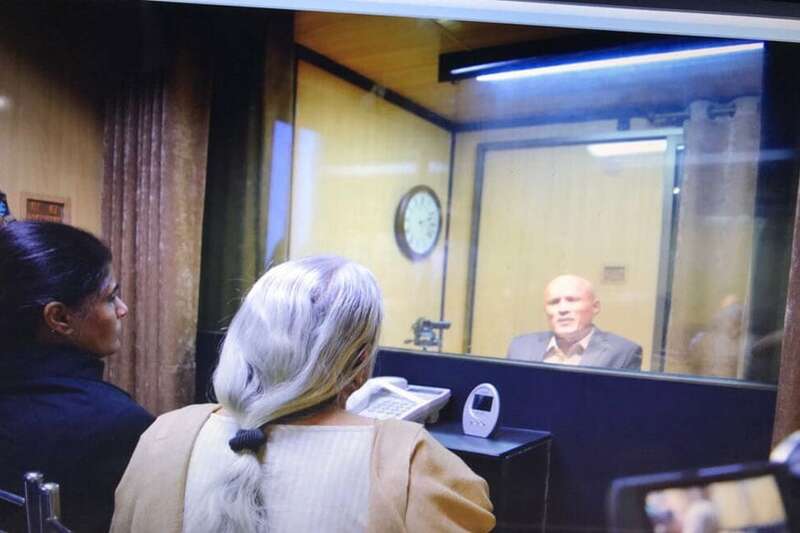 Kulbhushan Jadhav interacts with his mother and wife across a glass partition. Former naval officer Kulbhushan Jadhav, who is on death row in Pakistan for allegedly spying for India, met his family members in Islamabad in a carefully choreographed event. The meeting lasted nearly 40 minutes but Jadhav, and his wife and mother, were separated by a glass screen and only spoke through an intercom device. Pakistan said it could not allow physical contact due to “security implications”. The meeting, Jadhav’s first with his family since his arrest in March last year, took place at the heavily guarded Foreign Affairs Ministry building, and came after months of representation from both nations after the International Court of Justice stayed his execution in May. Photo of the meeting between Kulbushan Jadhav and his family was tweeted by Dr Mohammad Faisal, Spokesperson, Ministry of Foreign Affairs Pakistan. With more than two dozen MLAs, including six ministers, failing to return to the newly constituted Gujarat Assembly, the BJP government in the state may see some new faces making the cut. Chief Minister Vijay Rupani’s first challenge is in picking his new team and striking the regional and caste balance ahead of the swearing in ceremony later today. Unlike his previous tenure, Rupani in his second innings would be facing a resurgent, aggressive and numerically larger opposition. Yogi Adityanath came in for praise from Prime Minister Narendra Modi for shrugging off the superstition and visiting Noida. “Those who entertain such superstitions have no right to be the chief minister,” PM Modi said. A Dalit family was compelled to cremate a dead family member outside their house after upper caste locals allegedly did not allow them to use the village crematorium in Bhind, Madhya Pradesh. A BJP MLA from Rajasthan has said that those who indulge in “cow smuggling and slaughter” will be killed. “Mera toh seedha seedha kehna hai ki gautaskari aur gaukashi karoge to yum hi maroge (If you smuggle and slaughter cows, you will be killed),” Gyan Dev Ahuja, the BJP MLA from Alwar’s Ramgarh told reporters. Union Minister Ananth Kumar Hegde has again stoked a controversy, saying those who consider themselves secular and intellectual do not have "their own identity" and they were also unaware of their parentage. The menace of chain snatching in Delhi hasn't even spared the First Secretary of India’s Permanent Mission to the United Nations, Eenam Gambhir. At home in Delhi on a vacation, she was out for a walk on Saturday night, when two bike-borne men drove away after snatching her mobile phone in Rohini. 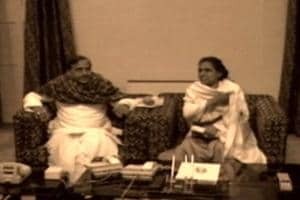 Ironically, in all these years it has taken a politician in saffron robes to defy the curse of Noida in his first year in office. And Yogi Adityanath has, to the discomfiture of Babu-Neta nexus, promised to return and keep a close watch on the developments here. Will skeletons of graft now cease to stink? Pakistan’s gesture of allowing the family of Kulbhushan Jadhav, the Indian national who has been in Pakistani custody for the past 22 months, is not something which is merely humanitarian but tactical, coming ahead of a written submission it has to make at the International Court of Justice, which is hearing the case. The hard fact remains that despite Pakistan’s claims that Jadhav was an agent of R&AW, he was in fact abducted from Iran, a third country, by Pakistani intelligence agency ISI. Pakistan must realise that by taking a cussed view in the Jadhav case it runs the risk of not only creating a larger wall of hostility with India, there is even bigger risk of a permanent anti-Pakistan feeling amongst the Indian masses. For nearly three decades incumbent Uttar Pradesh’s CMs averted Noida. Why? Well, take a look at our attempt at explaining the Noida jinx.